Hmm. That’s much less than the cost of the average car but it does tell us how much a parking space needs to “earn its keep”. 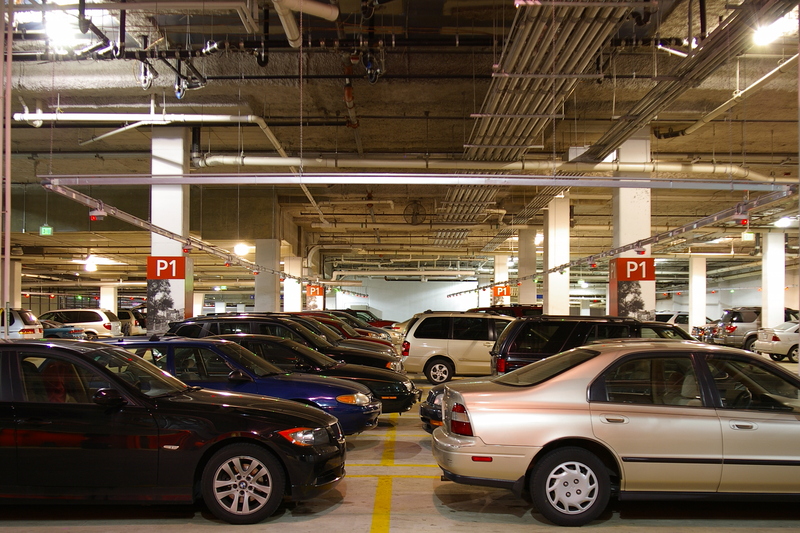 In order to manage the operational costs and debt service of the three public garages within Town Center, the Town Center Parking District was formed. The Parking District is a special taxing district that levies a real property tax against the commercial properties within the Town Square boundaries. The Parking District Tax rate for FY 2011 will increase by 10 percent to $0.33 per $100 of assessed value in addition to the $0.292 rate on all real property within the City. This tax will provide a contribution of approximately $163,000 towards funding the District. While this tax is expected to bring $163,000 next year, the annual cost of the garages (paying both the mortgage and maintenance) is $4.4 million–so the difference has to be raised from a variety of sources, including parking meters ($1.1 million), parking fines ($660,000), and contributions from the city ($1 million) and the county ($295,000) [which will probably disappear given the county’s precarious financial condition]. Many people (both residents and businesses) have clamored for free parking in downtown Rockville, but the cost to the community will be $2.2-3.2 million annually or $41-60 for every resident (man, woman, and child) in Rockville. Is it worth it? Does this subsidy waste time and space? Or is it essential to maintain our quality of life and businesses in downtown? Should we rethink the minimum parking required by the zoning code? Should some businesses or agencies be exempt from parking requirements and parking district taxes (the district courthouse under construction only has ten parking spaces for the ten judges and will pay no taxes)?